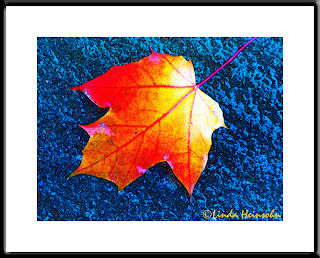 I separated out one brightly colored leaf from the rest to photograph on the sidewalk. I used one enhancing filter from PSE4 but I have no idea which one. The filter mostly smoothed the shadow out the blue/black background and perked up the leaf color a little bit.